Need Integrated Circuit layout support and have Cadence Virtuoso or First Encounter software? 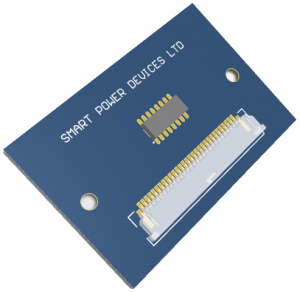 Smart Power Devices Ltd is available on a contract basis to expedite your design to the foundry of your choice. Interested in Schematic and Layout implementations of your circuitry at the Printed Circuit Board level? Smart Power Devices has the expertise and the tools to very efficiently create production-ready or prototype PCB’s at the board house of your choice. Your ownership of the design database is guaranteed – we can also generate and provide Gerber, STEP, DXF and even 3-D pdf output file formats to better facilitate the integration, manufacturing, and presentation of your design. Alternatively, you can utilize our streamlined, proven flow with the BatchPCB service to generate 2-layer boards (8-mil spacing/traces) at a previously unheard of price at $2.50/sq. inch and 4-layer boards (6-mil spacing/traces) at $8.00/sq. inch. Why breadboard when you can build your circuits on a real PCB at just a few dollars per unit? Just announced! Smart Power Devices Ltd now offers your custom designs to be fabricated in the United States through the OshPark Community PCB Ordering system. Boards made with OshPark cost even less per sq. inch, have amazing/signature purple soldermask, and are made to tighter specs of 6mil traces and spacing!